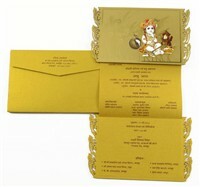 D-5497, Gold Color, Shimmery Finish Paper, Small Size Cards, Laser Cut Cards, Birthday Invitations. 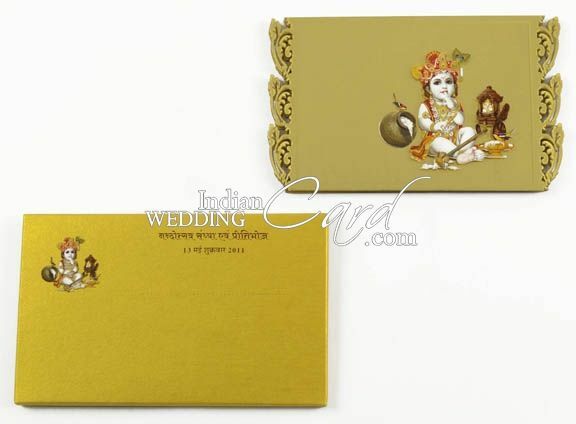 Designer Birthday Card on Krishanji theme. 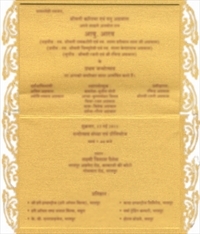 Card laser cut on acrylic with Krishanji paste-up.